Exactly How Does Dialysis Work? Dealing with kidney disease and commencing dialysis may seem quite overwhelming for the new dialysis patient. Our team here at United Dialysis Center tries to make this experience as comfortable for both you the dialysis patient and for your family or friends. We do this in a variety of ways. Upon meeting and visiting with your Nephrologist for the first time, he or she and our team of experts at United Dialysis Center will explain what to expect with dialysis. So, you are asking yourself, “How does dialysis work?” Basically, dialysis is the process of filtering the built-up waste products from the blood of a patient whose kidneys are no longer functioning properly, using a machine for dialysis. Dialysis treatments take the place of some of the kidney’s typical functions by waste removal and fluid removal. In hemodialysis, the patient’s blood is pumped through the blood compartment of a dialysis channel called a dialyzer, presenting it to a somewhat penetrable film. The dialyzer is made out of a large number of little engineered empty filaments. The fiber divider goes about as the semi-porous film. Blood moves through the filaments, dialysis arrangement streams around the outside of the strands, and water and squanders move between these two arrangements. The purified blood is then returned back to the body. Your United Dialysis team is there to ensure in-center dialysis in the utmost safest & most comfortable environment. Our committed group of medical attendants, social workers, nutritionists, and medical professionals are prepared to help you with whatever necessities or inquiries you may have. Indeed, an extensive evaluation of all your clinical, mental, money related, and social administration needs will be directed to guarantee that you are getting the most ideal consideration from all angles. Understanding your needs as an individual and guaranteeing that these requirements are comprehended and tended to the best of our ability is our objective at our in-center dialysis facility. Notwithstanding the caring and expert staff, United Dialysis Center has gone to considerable lengths to guarantee that confidentiality where you are accepting treatment is protected, agreeable, and mitigating. Patients as often as possible remark on the particularly warm, family like environment that welcomes them when they walk into our dialysis center. 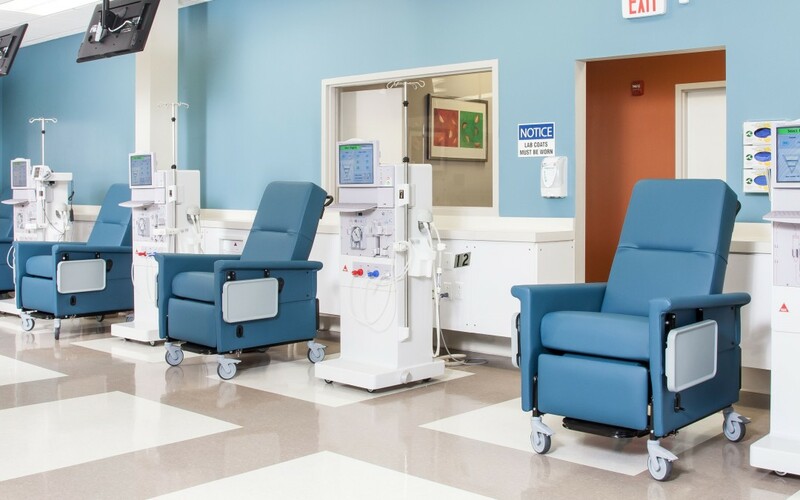 It is our objective that you know from the minute you stroll into our facility that United Dialysis Center is committed to giving you the most ideal clinical care and backing when it comes to in-center dialysis.